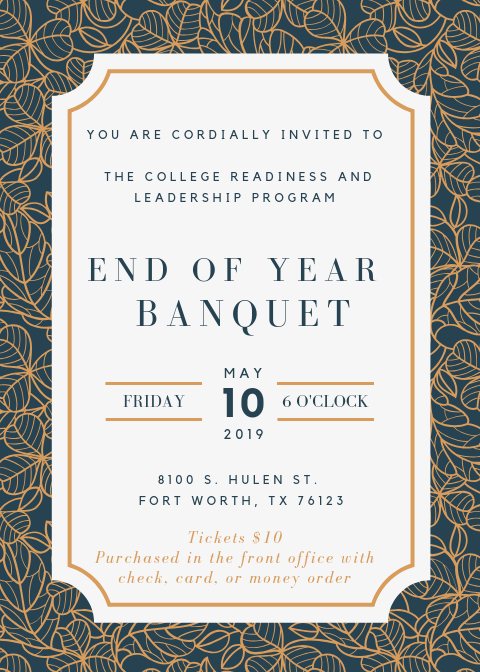 The End of Year CRLP Banquet will be Friday, May 10th at 6 pm. Tickets are $10 and can be purchased from the main office with card, money order, or check. Ticket sales end Wednesday, May 3rd at 4 pm, no exceptions. Dinner will be catered by Olive Garden. https://harmonypublicschools.network/hsifortworth-new/wp-content/uploads/sites/96/2019/04/CRLP.png 195 204 aarikan https://harmonypublicschools.network/hsifortworth-new/wp-content/uploads/sites/96/2019/02/logo-hsi-fortworth-white-1.png aarikan2019-04-10 15:29:102019-04-11 08:00:16CRLP Banquet! Harmony Big Dig! This Saturday- Campus Beautification Day!